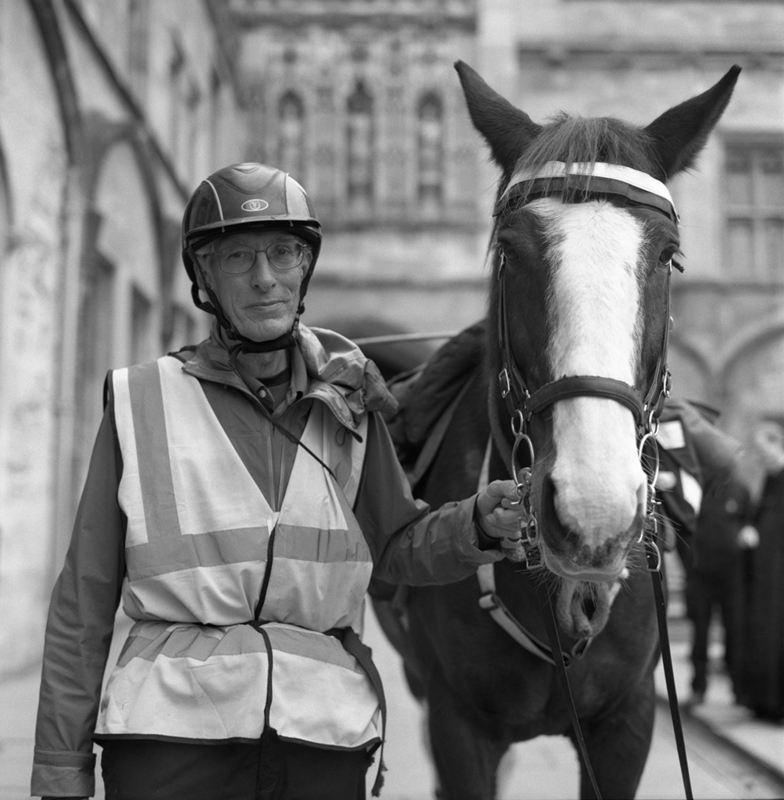 Between May and November of this year (2013), William Reddaway and his horse, Strider, traveled 2674 miles around the United Kingdom and, so far, have raised £46,000 for three charities in Gloucestershire. During their ride, they visited 30 cathedrals, and, indeed, it was in front of Christ Church Cathedral that I met Strider who was good enough to gather his rider for a photo. See their website and blog to learn more about the charities and their travels.